There are times when I stay so busy throughout the day that I finally crash into bed and my mind starts to race. I have so many thoughts that I need to get out of my mind before it will allow me to rest, so I get back up and come to write. I have found that I can write...and write...but I cannot always talk. It is hard for me to verbally find words to say, but when I start to type it all comes out. I do not know why this is, but it has really helped me sort out my thoughts rather than keeping them inside. 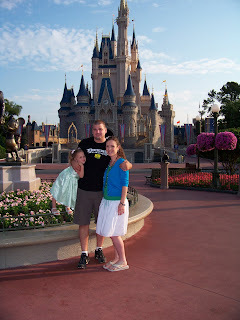 One thing I realized while lying in bed was that I never posted about our trip to Disney. And it certainly was a trip that Ella will remember for a long time! On Friday night, the day after Audrey was born, everyone else had gone home and Chad and I were in my room talking, crying, remembering the day. 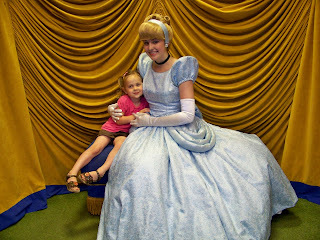 I said, "If there is any way we can do it, let's take Ella to meet Cinderella and the princesses while you are on your family medical leave." He liked the idea, so after getting the OK from my doctor, of course with the stipulation that I would have to ride in a wheelchair due to a blood clot, we booked a trip. And we were leaving 9 days later! The days leading up to Disney were very tough days. It was as if the "Novocaine" was wearing off slowly...slowly, until the day before we left and it was gone. I was hurting tremendously...inside. So much, that I felt my heart was physically hurting, and I was not sure how I would get through life as I now knew it. And I did not want to go to Disney World. 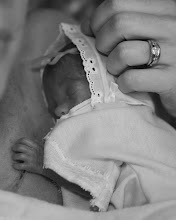 If Audrey had not been born early and had not had physical problems that caused her to die, we would not be going. I would still be pregnant and our lives would have been the same as they were two weeks earlier. But the trip was for Ella, and that is all that mattered. Her excitement was enough for us all. 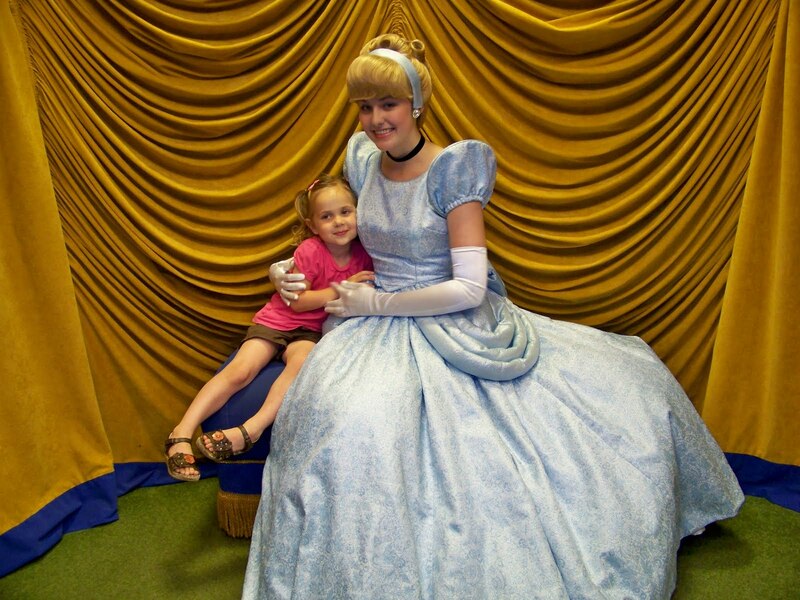 She met Cinderella the first day! We debuted at Disney yesterday after a long 11-hour drive on Monday. 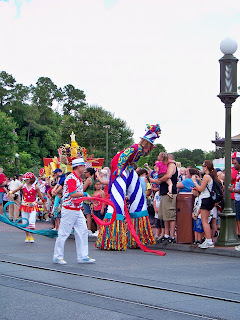 As soon as we arrived at Magic Kingdom there was a parade going on and Ella gave a "high-5" to some characters on stilts. She was thrilled and immediately my emotions began to take over as I choked back the tears. Mainly because this is what we wanted to do for Ella, but also because I would never get to bring my Audrey to this magical place. Of course, Disney is Magic, but Heaven is real. Audrey would not understand our excitement about Disney World now that she has seen and experienced Heaven. 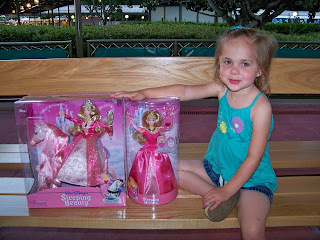 Ella met Cinderella, Belle, and Aurora the first day, and when we went back the next day she wanted to go see them again. She also went to story-time with Belle, then met Snow White and Tiana. That evening she took her first roller coaster ride and she did like it but it made her belly hurt. So she was not the typical child who rides over and over. Once was enough. Later we were browsing in one of the gift shops and we told Ella that she could pick out one thing to buy. She finally found something interesting, the princesses! So she just had to decide which one. The first words out of her mouth were, "I want that one for Audrey (pointing to Sleeping Beauty)." Chad and I just looked at each other with the exact same thought, Audrey is our "sleeping beauty." Then Ella decided to get the same doll for herself. Since the trip was "from Audrey" we liked the idea of having something to keep that would have been hers. The days have been fun and busy with lots to do, and that has kept our minds busy in spite of the ache in our hearts for Audrey. I find myself noticing things more than ever before. Everywhere I looked are sit-n-stand strollers (the one thing I really wanted and had bought for Ella and Audrey), and just thinking about my sweet baby's face. All I want to do right now is hold her and have her be OK. And then I see many sweet children with Downs syndrome. each one having the time of their life at Disney World. And I ask again, why did her condition have to be fatal? I would have given anything for her to have Downs syndrome and for us to get to know her and love her. But God wanted her with Him. That is what I know, and all I can say to the"Why?" questions. I know I will never understand it. We are finishing our fourth day, and still having a lot of fun. Today Ella met Tinkerbell and two other fairies, as well as Ariel and Prince Eric. 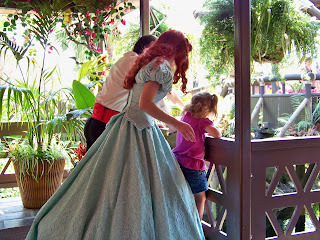 She asked Ariel where Flounder was, so they went to look in the water below to see if they could see him. Unfortunately they couldn't. 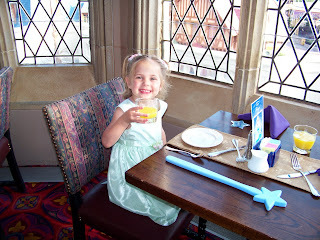 Ella and I had breakfast this morning at Cinderella's Royal Table. 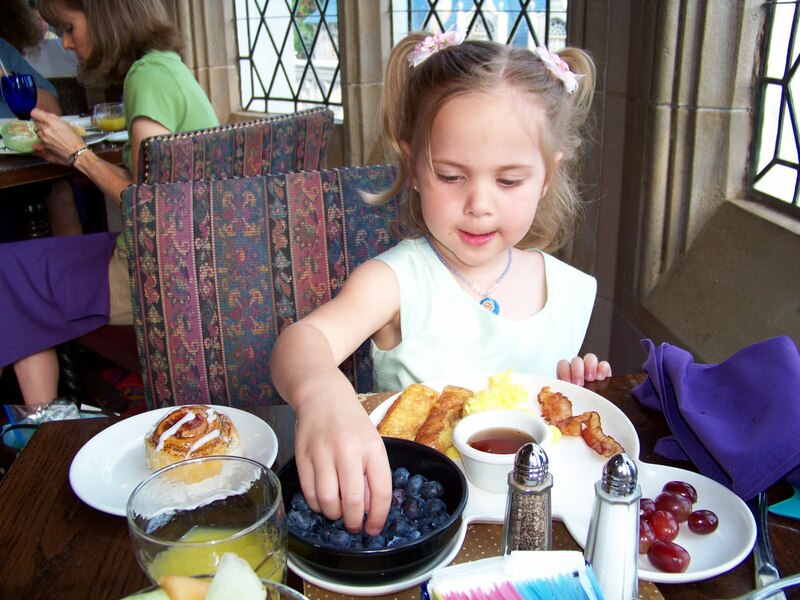 It was a very delicious breakfast and we were joined by a few other princesses as well. Ella's favorite part of the breakfast was the blueberries. She ate all of hers and almost all of mine. She enjoyed making wishes with her wand and pretending to be royalty. They brought her a whole bowl of blueberries! 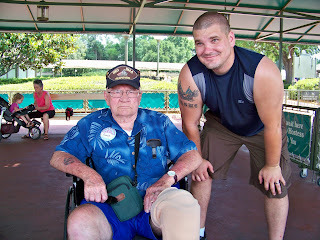 I cannot go without mentioning a Hero we met, by far Chad's favorite part of the trip. It is not very often you have the privilege of meeting a survivor from Iwo Jima, and we really enjoyed talking to him and his family. He was in the 2nd wave of Navy troops onto shore. I cannot remember the number, but only a few of them returned home and those who did were injured. Please do not forget those who fought or are currently fighting for our freedom, and also their families who have sacrificed so much. It was certainly "The trip of a lifetime" and has marked a very significant time in our lives as we began our journey with a special part of our family living in Heaven. A very special Thank-You to Paula for helping me plan our trip in such a short time, and for the special gifts when we arrived. Your help and thoughtfulness were a huge blessing. Returning home was hard. We had to come back to memories, flowers, and a grave. The magic was over and life was waiting for us. But Disney is just pretend, like I tell Ella. 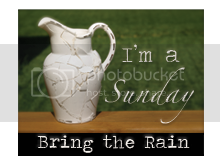 And what is real is that God's grace has not failed us yet! Beautiful, Becca. Your posts strike my heart every time. Praying for you.